Self-driving car automated control problem includes automated routing problem. This paper addresses the self-driving taxi routing problem formalized as the Pickup and Delivery problem (PDP). 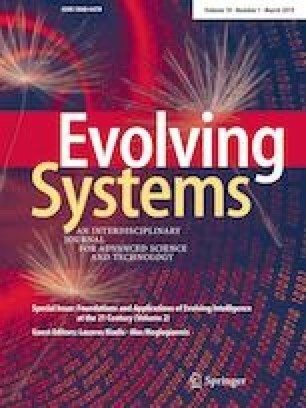 We use small moves technique as the basis for our evolutionary computation framework that considers small moves as mutation operations. We introduce strategies, which determine vector of probabilities to apply small moves on each step. Also we introduce policies, which determine how strategies evolve during the algorithm runtime. Finally, we also apply meta-learning to select the best strategy and policy for a given dataset. We test suggested methods with several genetic schemes. The best performance is shown by strategies that apply small moves with probability depending on its success rate and/or complexity. It outperforms Hill Climbing as well as a constraint satisfaction problem solver adopted for PDP. Authors would like to thank Ivan Smetannikov, Sergey Muravyov, Valeria Efimova and Daniil Chivilikhin for useful comments. The meta-learning based method suggested in the paper was developed under the research project financially supported by the Russian Foundation for Basic Research, Grant 16-37-60115 mol_a_dk. The reinforcement learning based method suggested in the paper was developed under the research project financially supported by the Government of the Russian Federation, Grant~074-U01. All other suggested methods and the developed framework were obtained under the research project supported by the Ministry of Education and Science of the Russian Federation, Project No 2.8866.2017/8.9.